Linking your company Google+ Page to your ads is a great way to bring more likes and get more people following your brand’s presence on Google+. 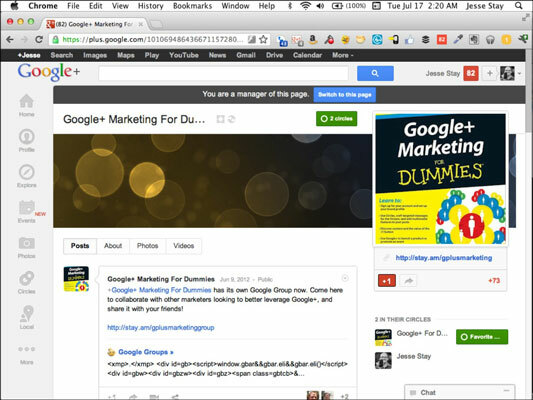 By adding a Google+ Page to your ad, you are enabling all +1s on that ad to also +1 your Google+ Page. Linking your website with your Google+ Page brings the benefit of associating a Google+ Page to your ad. The best way to do this is with a Google+ Badge. When you have a website associated with your ad, and people click it, they’ll see the Google+ Badge and will be able to circle and +1 your page right from your own website. Then, because every +1 on your ad equates to a +1 on your Google+ Page, and because that Google+ Page has been linked to your website, your website also gets a +1 — improving the chances of your website appearing in Google search results. This cumulative effect is how social ads use social touch points to influence the Google.com search ranking for your website. You can do so to best advantage by associating a Google+ Page with your ads. Select Increase the Social Relevance of my Ads By Associating Them with my Google+ Page and insert your Google+ Page URL in the field provided.